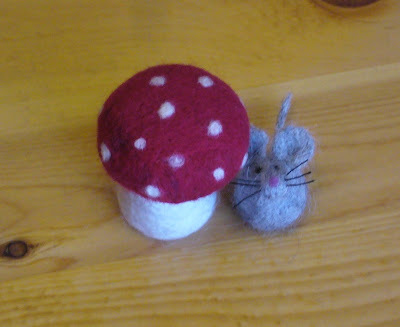 I've been intrigued by needle felting for some time. Living in a small town means, however, that access to supplies for any craft is limited. This is a positive thing, if you, like me, have ADHD when it comes to crafts and always want to try something new. I find I make less impulse purchases when I have to order stuff online - something about having to pay shipping & handling always give me pause for objective evaluation of my planned purchase. But the arrival of my October Phat Box, started me down a slippery slope. I blame WC Mercantile's Mini Mystery Bag. She even suggested using the little bits for felting. Hmm, thought I, wonder if there are any felting needles in town. So I also blame my LYS - they had needles. 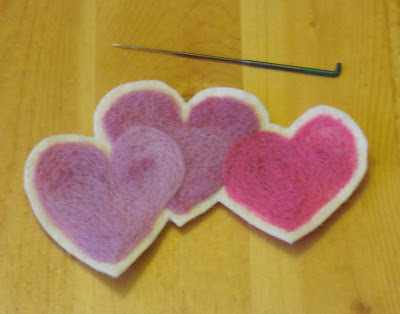 It started with some little hearts felted onto an ecru wool felt background. Then I watched a few Youtube videos on making 3D objects. The mushroom sprang from my table top while the kids were out trick-or-treating. It was such a rainy and snowy and cold night that I didn't get interupted very often by cute ghosties and goblins looking for candy at my door. 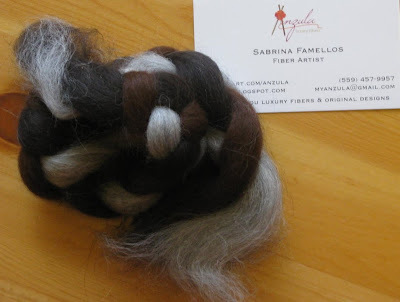 I guess, I also blame Anzula for the perfect mousy grey baby alpaca sample from the October Box. 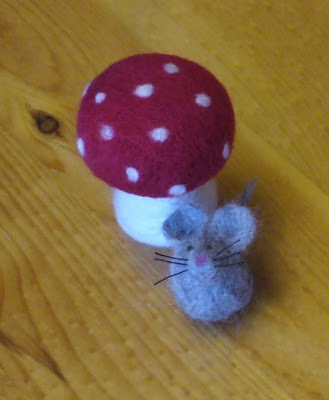 My mushroom needed a little critter to protect and the mouse was next. I have got to stop! I have knitting that I need to start! Secret knitting, Christmas knitting, pattern tweeking knitting. No, no, *embrace* the urge! You're making some lovely things in your first stab at it. I can't wait to see what else you create. ha ha, "stab"! I love a good pun! okay, that's super cute!! I've been intrigued by needle felting for a while now, but haven't tried it- I'm afraid I'll give up knitting and do nothing but needle felt all day long! I'm afraid that's a distinct possibility! Such cute creations! 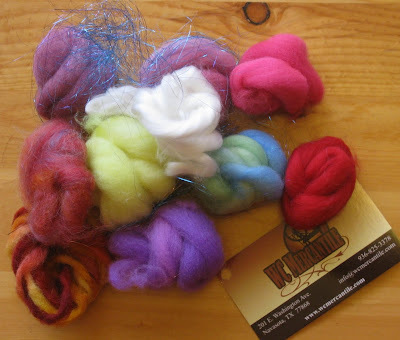 Needle felting is definitely addictive....and great idea to use the fluff from the phatfiber box for needle felting!